Barnwell Mountain Recreational Area is my home away from home! 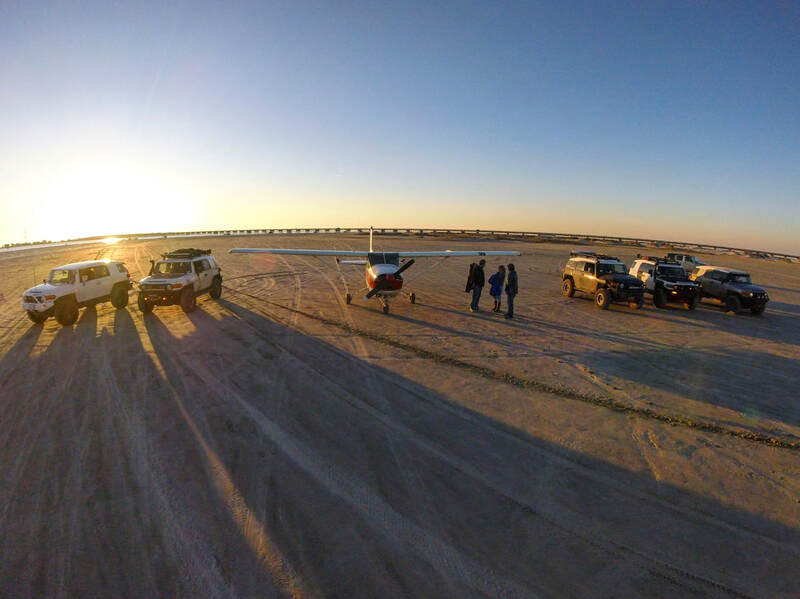 Good sized park with great trails and plenty of camping areas. They also have on site bathroom and shower facilities. Top of the World is a must do! 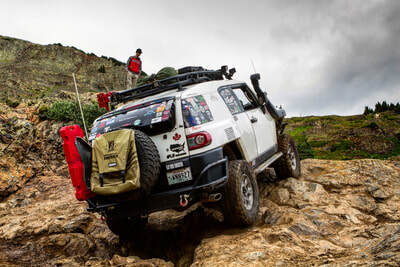 It provides amazing views and great photo opportunities for you and your rig. 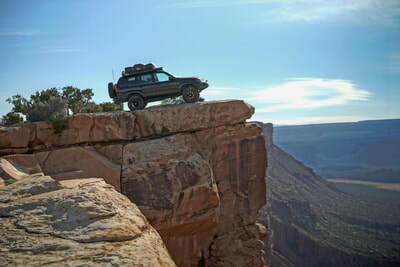 The trial up can be a little challenging in some places. 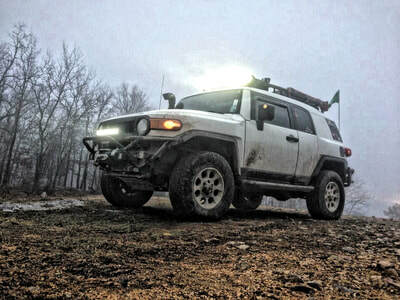 Badlands Off Road Park in Attica, Indiana might be one of my favorite off road parks in the nation. They have just about everything there, to include onsite food! Silver Lake Sand Dunes in located near Mears, Michigan. This was a fun place to wheel, but the park is fairly small with lots of traffic during the summer time. Vegas baby! 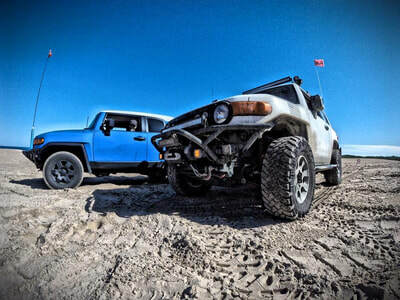 We'd like to tell you how much fun we had with the Vegas FJ Cruisers and all the cool people met, but you know the rules. What happens in Vegas stays in Vegas! 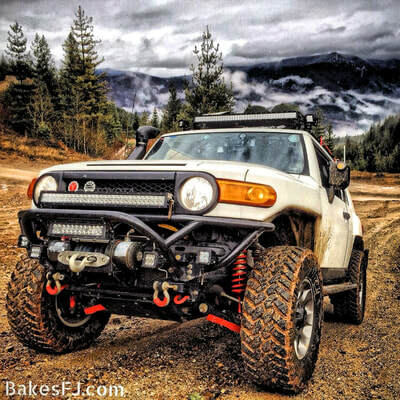 I am originally from Washington state, so me getting to wheel the FJ there was a big thing for us. 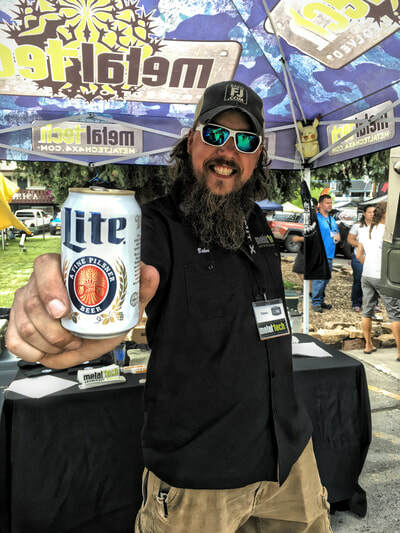 We had a blast wheeling this area and getting to know everyone that showed up. 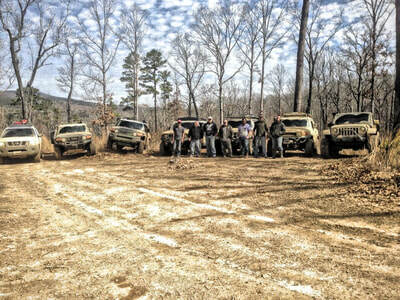 A few of the guys we wheel with in Texas decided to plan an Ozark off road trip. We had so much fun. Lots of laughs and cold drinks were shared. Beautiful area to wheel. We were invited to FJ Cruiser Summit X as guests of Metal Tech 4x4. This was our first time attending and we loved it! 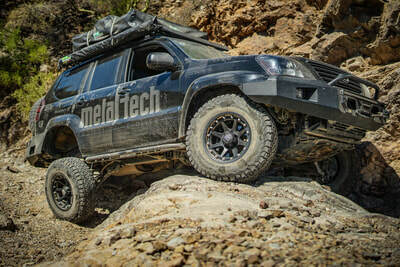 Big thanks to Metal Tech 4x4. 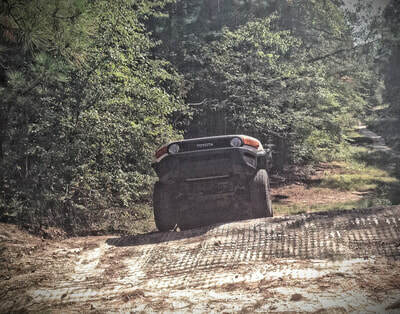 Super Lift or Hot Springs ORV Park is in Hot Springs, Arkansas. It is a very fun park with lots of trails to run. They have onsite camping or you can go to the KOA camp ground. While passing through Idaho, we stopped to take a few pictures. Since this is the Pacific Northwest, we were able to take a trail off the highway and into the mountains! 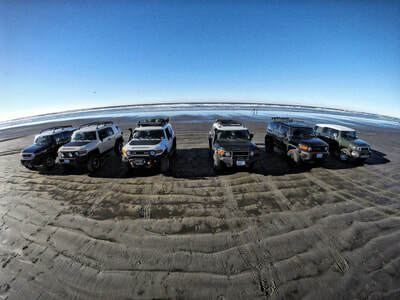 Before going to Canada, We had talked to several Toyota people who live in the B.C. area. 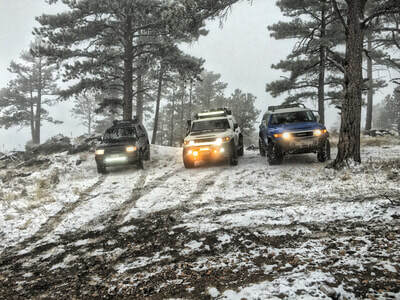 They invited us to a club function and later took us wheeling in the mountains. Great Time! 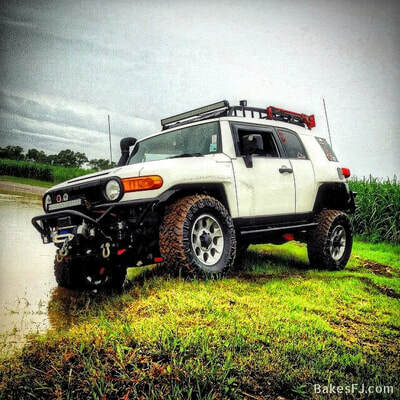 Other than a cane field or two, Kisatchie National Forest was the first place we wheeled the FJ. Not a lot of trails here, but still fun nonetheless and we would do it again! After leaving White Sands National Monument, we met up with a few FJ guys in the area. 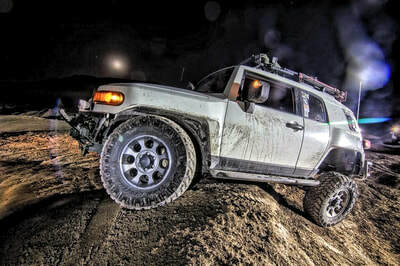 They took us to a fun little area where we did some lite wheeling and got some great pictures. Poughkeepsie Gulch is a fun trail. For the most part, it is fairly easy to navigate. There is one area known as the "wall" which can be difficult. Kick out your spotter and you'll be good! 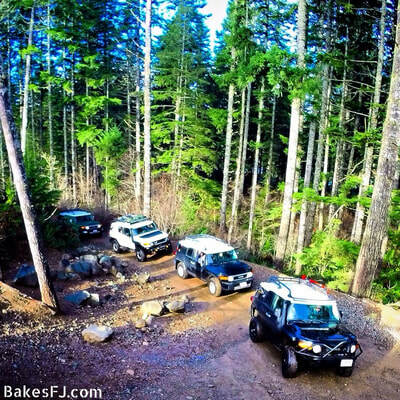 While in Washington state, we had the opportunity to meet with several FJ Cruiser owners. We had a lot of fun and look forward to the next time we can get together. While on our BA/MT Coast-2-Coast Road Trip, 2017 we met up with a few members of Team Overland, who took us out for a fun filled day on the trails in Medford. 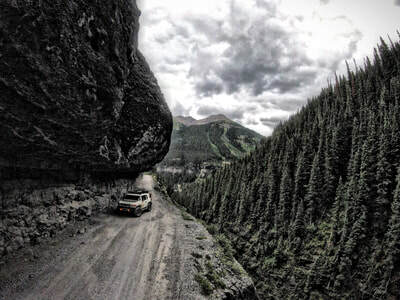 Imogene Pass is one of our favorite trails to run in the Ouray / Telluride area. We have traveled over the pass several times and each trip was better than the last. Here in south Louisiana, when it rains it pours. Since we had a snorkel, we think we can drive through anything! 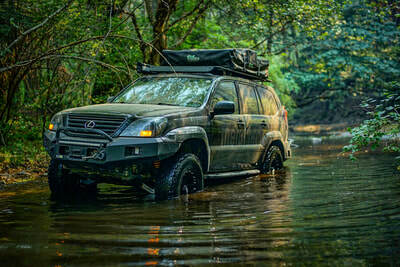 The dark, murky flood waters can be interesting to navigate through. While on our BA/MT Coast-2-Coast Road Trip, 2017 we met up with several people at a local coffee shop and then ran a few trails in the Boulder area. We had a great time! 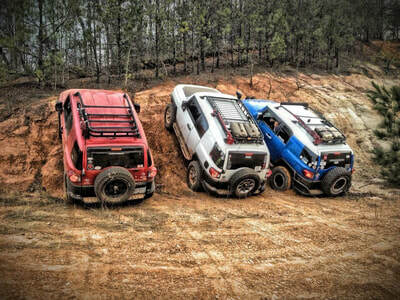 We met up with several members of the Houston FJ Cruiser group. Galveston Beach was not that busy, except for the plan that landed. Always expect the unexpected! 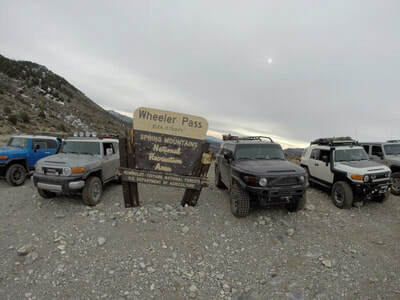 We ran Black Bar Pass while attending FJ Cruiser Summit X. 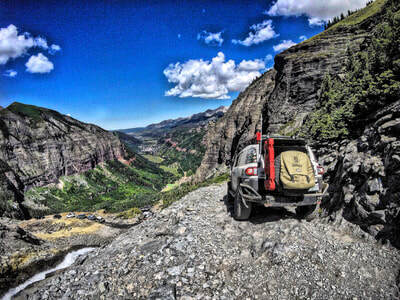 It provides beautiful views looking into Telluride. If you enjoy switch backs and tight trails, you'll like this! While on our BA/MT Coast-2-Coast Road Trip, 2017 we meet up with several members of AZFJ. We had an amazing time running the Canyon and hanging out with everyone! 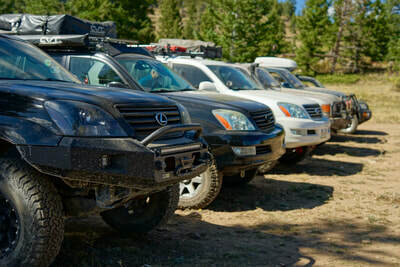 We met up with a few members of the Colorado FJ Cruisers for coffee in the morning and trail run in the afternoon. Great weather and beautiful sites! 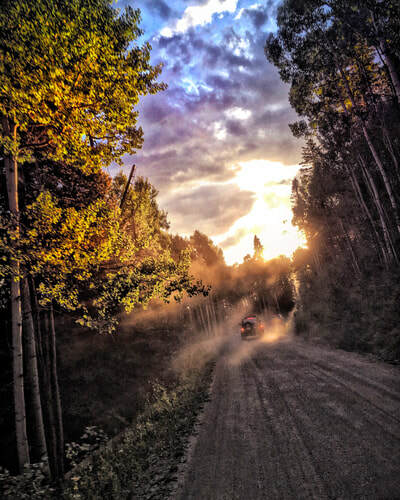 There are so many scenic trails that lead you all through the Ouray, Ridgeway, and Telluride area. The most time consuming part is stopping all the time for pictures.